Dale Parker and Nathan Zilak recently won a three day trial in Clearwater. 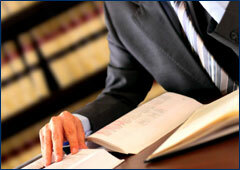 Our client rear ended the plaintiff causing over $1,000 in property damage. Plaintiff reported to the ER later that day and then began regular treatment consisting of chiropractic, physical therapy, surgical consultation, and pain management. She underwent bilateral facet blocks and medical bills exceeded $31,000. The jury got to see the 3" long needles used on the plaintiff. The lost wages claim was withdrawn pre-trial. Plaintiff had prior accidents, but non with any medical care. Our team admitted negligence and argued that plaintiff's story could not be believed based upon many inconsistencies. The jury agreed and returned a verdict finding that our client's negligence did not cause any of the claimed injuries.